Don’t expect a new Battlefield game to be released in 2017, or possibly 2018, according to EA CFO Blake Jorgensen. Speaking during a NASDAQ conference this morning in London, he said the focus will instead be on Star Wars Battlefront 2, which Jorgensen reiterated would be “bigger” than the game currently on the market. 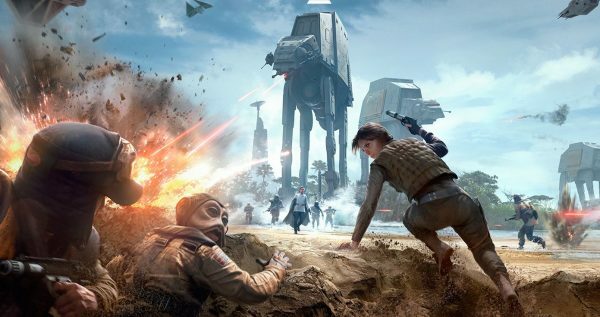 “We won’t have another Battlefield back for a couple of years, next year we’ll have Battlefront, the Star Wars game,” he said via DualShockers. He didn’t clarify whether “a couple of years” meant the calendar or fiscal year period. Jorgensen went on to say DICE took fan “criticism to heart” with Star Wars Battlefront, and will offer player “more” with the next entry. He again reiterated that the next Star Wars Battlefront game will be released next year and will leverage content from Star Wars Episodes 7 and 8. The fourth and final digital expansion pack, Rogue One: Scarif will arrive for all Season Pass owners next week on December 6 along with the free Star Wars Battlefront – Rogue One: X-Wing VR Mission DLC for Battlefront owners with a PlayStation VR. If you have yet to purchase the game, you can pick up the Star Wars Battlefront: Ultimate Edition which includes the Season Pass. Those who don’t own the Season Pass will be able to acquire the Rogue One: Scarif DLC two weeks later.